Lots of instruments, including most banjos and mandolins, use steel strings with loop ends. 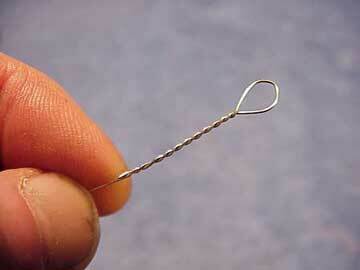 Unfortunately, not all music shops have a full selection of individual loop end replacement strings. 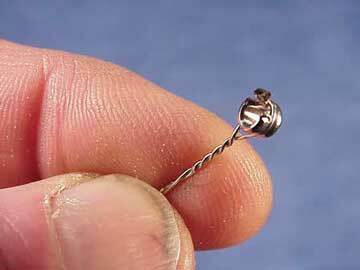 If you have difficulty finding the appropriate gauge or type of loop end string, you can make your own by removing the ball from a ball end string. After, all a loop end string is the same as a ball end one, except that there's a brass cylinder (not really a "ball") held in the loop. 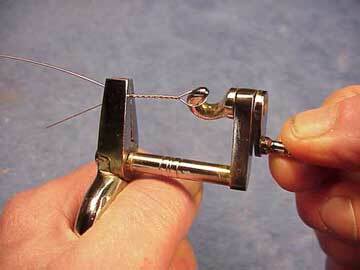 You can also twist a loop in the string, either by hand or by "machine." Twisting loops by hand is a little rough on the fingertips, but it certainly does work. 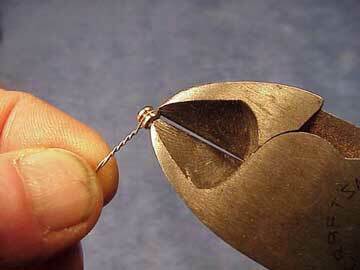 It's about as simple as it can be - a pair of pliers with an attached hook and crank. In case you're wondering, I bought this nifty tool for $60.00 from Ron Fernandez, of Fernandez Music (www.fernandezmusic.com). This is Ron, playing a Portuguese guitarra, which uses special strings with loops formed on both ends. 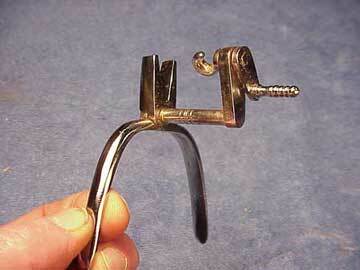 The little string winding tool is a virtual necessity if you have an instrument like his! If you have a ball end string and need a loop end, you can simply remove the brass ball from the loop at the end of the string. The trick is to do it safely, without nicking or kinking the string at the loop. 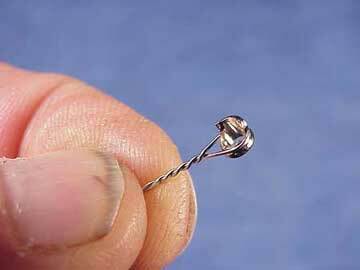 For an unwound string, you can grip the twisted portion, and untwist it just enough so that the ball drops out. 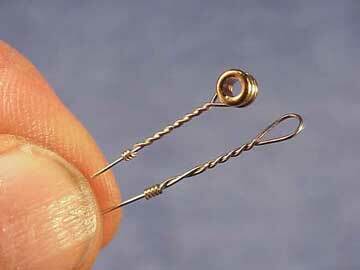 Some makers solder the twisted portion, and some brands of strings break at the first twist when you try this trick, though. Also, most wound strings are overwrapped right up to the ball, so the loop can't be untwisted. The safest way to remove the brass ball is to "bite" it with a pair of wire cutters, chipping the brass. All I have to do is turn the brass ball, and it drops right out.